Tennessee Poker – Is Online Poker Legal in TN? Tennessee is the birthplace of Chris Moneymaker. You know, the guy that came out of nowhere, won the 2003 WSOP Main Event and put (online) poker on the map. Poker is absolutely, 100% illegal in Tennessee. There are no legal options. No home games. No online poker. No casino poker. According to the Attorney General, since you only have a ‘chance’ to win a prize, poker could be considered a lottery – which in turn makes it illegal. Anyway, that’s the bottom line. 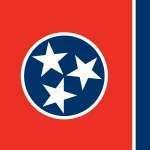 What’s worse is there are very few loopholes or workarounds worth pursuing, easily putting Tennessee in the unenviable position of being one of the worst states for poker in the US. Any Workarounds For Home Poker Games? Nope. In fact, both home and charitable poker games are illegal. It sounds like the law enforcement is aggressive about busting games, too. So, I wouldn’t even both trying to get one going, no matter how quiet you are about it. There are no statutes that mention, permit or exempt online poker. However, that normally just means it’s illegal anyways. And in this case, it definitely is illegal. Of course, there are other decent offshore poker sites you can try (at your own risk) if you’re desperate enough to play. Just make sure they’re legitimate before signing up and depositing. There aren’t any commercial or Indian casinos. So, you will not find live casino poker. That’s not too shocking, though, considering that they just legalized their state lottery in 2003. Prior to that there wasn’t any legalized gambling in Tennessee. Tennessee laws [H] dictate 30 days in prison and/or a fine of $50 for a Class C misdemeanor, six months in prison and/or a fine of $500 for a Class B misdemeanor, and 1 – 6 years and/or a $3,000 for a Class E felony. If you want to play casino poker (or any other gambling game) your best bet is to head out of state. Both North Carolina and Mississippi are popular choices. Experts think we’ll see legislation as soon as 2019 or 2020. I’m not too optimistic if those dates mean much though given how clear the state has made its negative stance towards online gaming. If it takes them that long to add a lottery – something most states have, and somehow deem to be more skillful than poker – how long do you think it’ll take for them to add a casino? For that reason, I don’t see Tennessee legalizing online poker anytime soon, if at all.